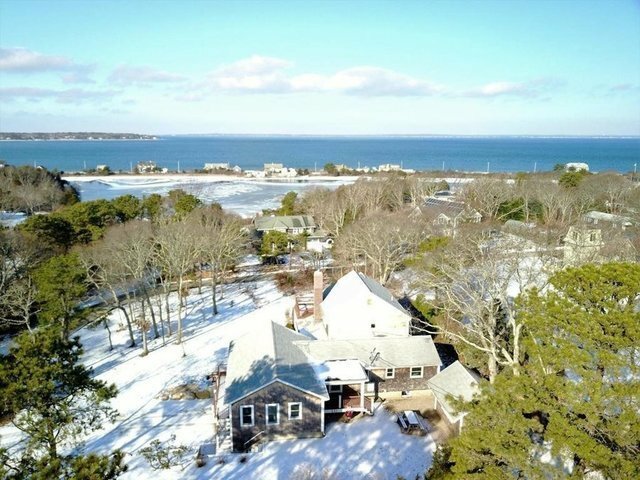 Fabulous East Chop home with income potential..... this should be on the top of your list because of it's close proximity to beach, town, lighthouse and there is a water view from the 2nd level looking over Vineyard Sound at the West Chop Lighthouse, and all the way to Woods Hole and Nobska Lighthouse! Picture this; warm summer evenings on the 2nd level deck watching the colorful sun set over West Chop, listening to the "ding-ding-ding" of the bell buoys off in the distance and the soothing sounds of fog horns on a steamy night. This is simply a perfect location. This "Double Delight" property has a 4 bedroom Main House and a "SWEEEET" 1 bedroom accessory apartment above the massive 2 car garage.